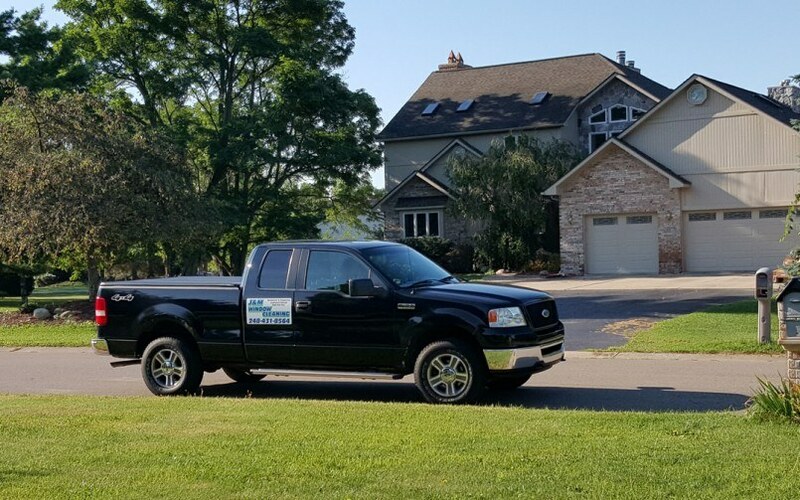 We’ve been anxiously waiting for summer since winter rolled in, and now that the warm weather and outdoor activities are right around the corner, why not use J & M Window Cleaning to give your Northville home a great clean? At J & M Window Cleaning, we don’t only do windows. We also specialize in washing the siding of your home, as well as gutter cleaning (and we do businesses as well – if you’re interested!). We are fully insured, background checked, and ready to work! In Northville, we are known by our clients primarily from word of mouth. We believe there isn’t a better way to gain business then from referrals, which is why we give 100% of our time, energy, and skills when we’re hired to do a job. When you hire J & M Window Cleaning for any service, you are getting technicians that are fully trained on the best tools, techniques, and methods for cleaning windows, gutters, and siding. We have perfected the art of the “right” cleaner for our jobs – and each cleaning service that we provide is backed by our 100% customer satisfaction guarantee. Using J & M Window Cleaning for you Northville exterior cleaning is a no brainer for a number of reasons. We currently carry a five star Google rating, have hundreds of satisfied – and repeat – clients, and are ready to take on additional jobs. Still not convinced? Your windows need to be professionally cleaned for a number of different reasons. As the summer months begin, the sunshine needs a place to filter into your home – and through dirty windows, takes away a lot of the vitamin D that we’ve been desperately craving since November! With clean windows from J & M Window Cleaning, you will receive a fully trained technician arriving at your scheduled time. We start with your exterior windows, and wash away all traces of the Michigan winter. Our cleaners are fully safe for all landscaping, and we make sure that we never damage any flowerbeds other greenery! After we’ve completed the outdoor windows, we move to the inside. Covering our shoes and laying down drop cloths are the most important steps that we take with each job. We never track in dirt or debris from outside, and always wipe up the window sills after we’ve completed our cleaning job! Most window cleaning companies charge extra to wipe up the sills after they’ve cleaned, but you can be assured that this is completely free of charge when you use J & M Window Cleaning. Our soaps and cleaners are completely pet and kid friendly, so no worries about toxins in your home! We make it a point to work around your schedule, and work as quickly and effectively as possible, with as little disruption that we can. When you see the amazing job that we do with your windows, we hope that you decide to let us clean your siding and gutters as well! Each job that we do is completely backed by our 100% satisfaction guarantee. If you aren’t fully satisfied, call us, and we will return and make it right! We look forward to working with you and getting your home ready for summer!